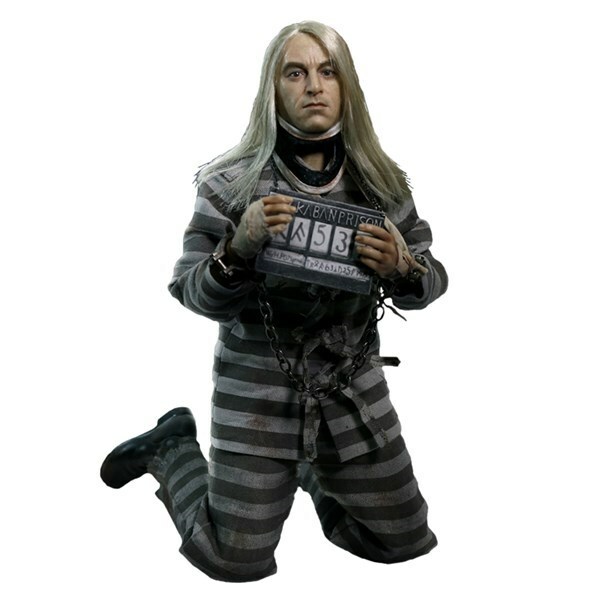 Lucius Malfoy was once the right hand of He Who Must Not Be Named, until he fell into disgrace after being captured and sent to Azkaban Prison following the events in Harry Potter and the Order of the Phoenix. The Lucius Malfoy in Prisoner 1/6th Scale Action Figure features the authentic likeness of actor Jason Isaacs as Lucius Malfoy in Harry Potter and the Half-Blood Prince, with a hand-painted head sculpt, movie-accurate details and realistic rooted hair. Fully Realized Authentic Likeness of Lucius Malfoy in the Movie of "Harry Potter and the Order of Phoenix"